Sorry for the lack of blogs lately, but I've been a bit busy getting outside and hill fit for my trips. I'll give you a whistle stop run down of whats been going on. After what can be described as an abysmal April weather wise, which confined me mainly to the gym, I'm playing catchup with the outdoors training. Having said that, I did manage one quick trip to Snowdonia with my Tour du Mont Blanc walking companion (Phil). We had some great plans but we were forced to change them as we were faced with four seasons in one day. The day started well in the sun, but then slowly deteriorated with rain, wind, hail and even snow! We made good use of the adverse weather conditions to test our gear, layering systems and figure out what worked for us. I found out that my softshell trousers and jacket needed a reproof, so not all bad. So into May, and the weather improved so more opportunities to get out and about. 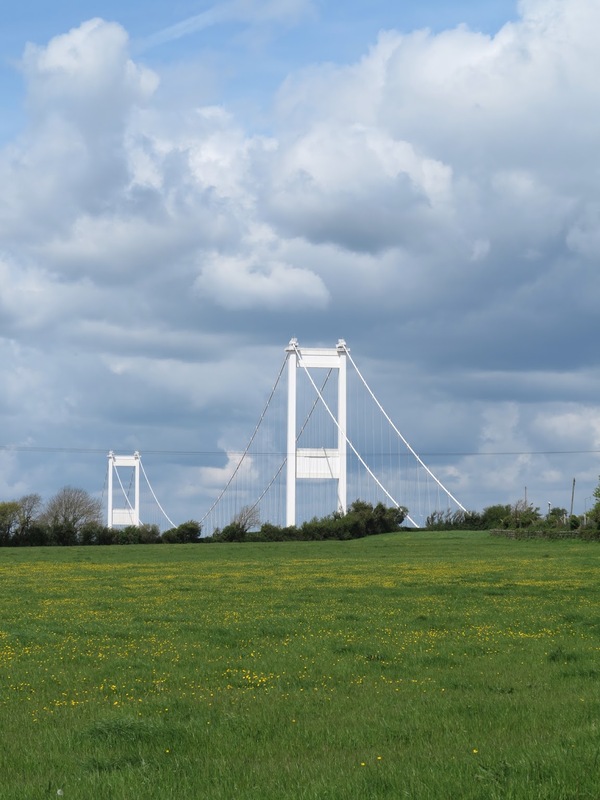 I've always wanted to walk between the 2 Severn Bridges, we set off from the "lovely" Severn Beach for a gentle 8 mile walk from the new Severn crossing to the old bridge and back. I think the strangest part of the walk was stopping off at the motorway services for a cup of tea, you get some funny looks turning up with walking boots and a rucksack. At the start of the month I reached the ripe old age of 40, I celebrated by hiring all the rooms in The Griffin, Felin Fach near Brecon. I invited my family and some of my closest friends, to share my birthday celebrations, lots of good food and drink. I also got in quite a good walk in over Pen y Fan and Cribin from the steeper north side, the weather was perfect, we made it back to the pub in time for cake and prosecco. I never intended to climb and boulder 3 times in one week, but it happened. Tuesday - I normally go to the Bristol Climbing Wall with my regular climbing partner and climb for around 2.5 hours, I decided to push my grade. I returned home with arms like jelly, but satisfied with my efforts. Wednesday - I met up with my friend Sally (she's training to be an outdoors instructor) as the weather was good we decided to do some easy climbing in the Avon Gorge, we had a great time getting out "touching" rock. If that wasn't enough we then decided to go to The Climbing Academy (TCA) and use up our remaining energy bouldering. Following my week of climbing, my girlfriends brother and his family came to visit us for the weekend. They have a 7 year old boy (James) who always amazes me with his endless amount of energy. When we met up for my birthday he said he wanted to ride at least 30 miles to beat his previous personal best. 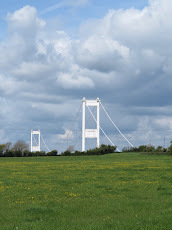 We decided that we would cycle to Bath from Bristol and back along the old railway path, not a hilly ride, but a nice safe, off road route suitable for a 7 year old, which would be just over 30 miles (50km) and fulfil James' criteria. We set off, again the weather was on our side we rolled into Bath an hour and 30 mins later. We had a rest, some snacks and a drink and cycled back, stopping at a pub on the way back for lunch. Fuelled up we completed the final leg of our ride. So proud of James. So that rounds up May so far, training is going well and there's more to come. This week I'm off to Snowdonia for 3 days of climbing and scrambling instruction, then I have a 40km hike in South Gloucestershire with "Mont Blanc Phil" and another old work colleague. I'll update you all when I'm back. How did I ever have time to work?